Lassi is a traditional summer drink from the state of Punjab. 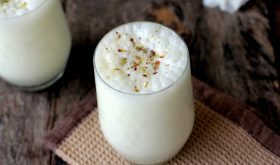 This popular, creamy, sweetened yogurt drink is a gem among Punjabi food recipes. It is a common sight in the North especially in Punjab, Rajasthan, UP and Delhi to find street vendors selling frothy lassi in matka (clay pots). There are three versions of lassi – salted, sweet and masala. Sweet lassi is slightly heavy due to the use of rich milk and sugar. The key to good lassi is to use thick homemade yogurt (curd) that is absolutely chilled and hand blended with a wooden churner. The yogurt should be fresh and sweet in flavor. Lassi makes for a filling breakfast and you are good to go for the day. There are many variants to the basic lassi recipe. 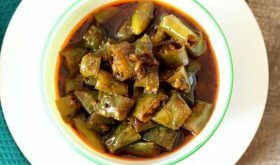 You can flavor with cardamom powder, saffron, dry fruits, nuts, fruits like mango, papaya, banana and more. Street vendors sell a plethora of lassi varieties in matkas by garnishing the sweet lassi with dollops of either fresh cream, makhan (butter), khoya, rabri or malai. 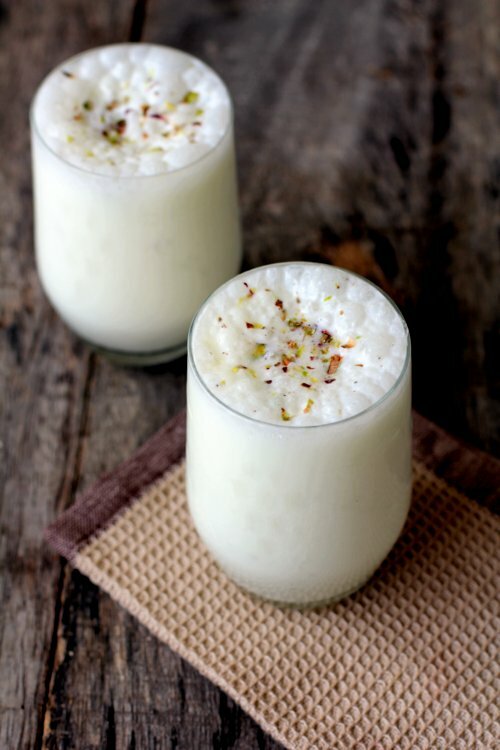 Inspite of the lassi varieties that are sold in the market, nothing to beat homemade lassi to combat the summer heat. One of India’s best summer drinks. Use only thick curd and with the help of a strainer drain out excess water from the curd before beating it. With the help of a traditional buttermilk churner, beat the thick curd till smooth and frothy. Add chilled milk, cardamom powder, sugar or honey and churn till frothy. Pour into serving glasses, garnish with chopped pistachios and serve. Curd and milk should be absolutely cold. You can use a hand blender or whisk to beat the curd till smooth. If you want a thinner consistency, add some chilled water. Adding full fat milk will yield a rich and creamy lassi. You can use skimmed milk or water instead of milk. By Sailu Published: April 15, 2015 Lassi recipe, a gem among Punjabi food recipes, is a sweet yogurt drink flavored with cardamom. Indian summer drinks at their best. 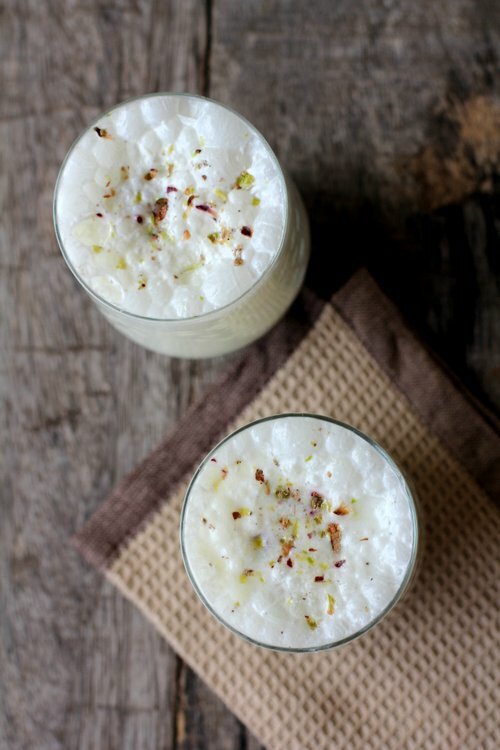 Learn how to make lassi.